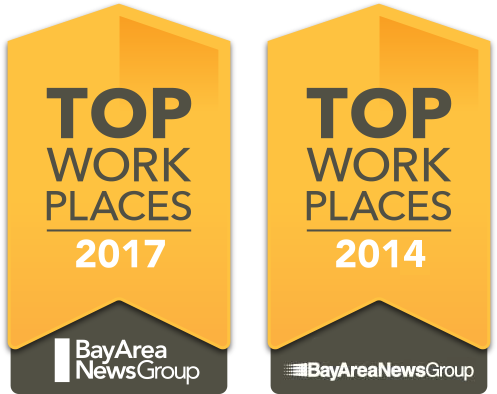 We are honored to be named as one of the Top Workplaces again by The Bay Area News Group for 2017! The Bay Area News Group recognizes the top 100 companies in the Bay Area solely based on surveys completed by their employees. We're proud to have been highly rated by our employees who know our work environment best and have acknowledged us for this valued award. "Winning Top Workplaces by The Bay Area News Group is an esteemed award that is credited to the members of the AVer team who have created this culture of teamwork, innovation and passion." says President Arthur Pait. AVer is committed to providing a fun, family-centric environment and work-life balance for our employees. AVer encompasses six core values based on honesty, integrity, teamwork, passion, innovation and customer service while living by the "work hard, play hard" motto. Our team is made up of people who exemplify these important core values that define AVer. Our core values are an integral part of what makes AVer so successful. As a leading manufacturer of Educational Technology and Video Conferencing equipment, we commit ourselves in making innovative products that make a difference in the way students are educated and the way businesses communicate. Our passion for education doesn't end with the products we sell but continues with rewarding opportunities to volunteer in our local educational communities. Our Corporate Citizens program inspires us to give back. We collaborate, we promote fun, creativity and we value every employee as a key contributor to the success of AVer. Our ongoing commitment is to provide a great place to work and our objective is to do "what AVer it takes" to make our people happy! We strongly believe a great work place is the foundation for success and exceptional customer service starts at home with our employees. For AVer, our employees and our customers are equally important. We aim to inspire our employees to think outside the box to serve our customers with their growing needs. Our generous benefits package, amazing events, Community Corporate Citizens programs, employee recognition programs and family-centric atmosphere are all elements of what sets AVer apart and makes us such a wonderful place to work.